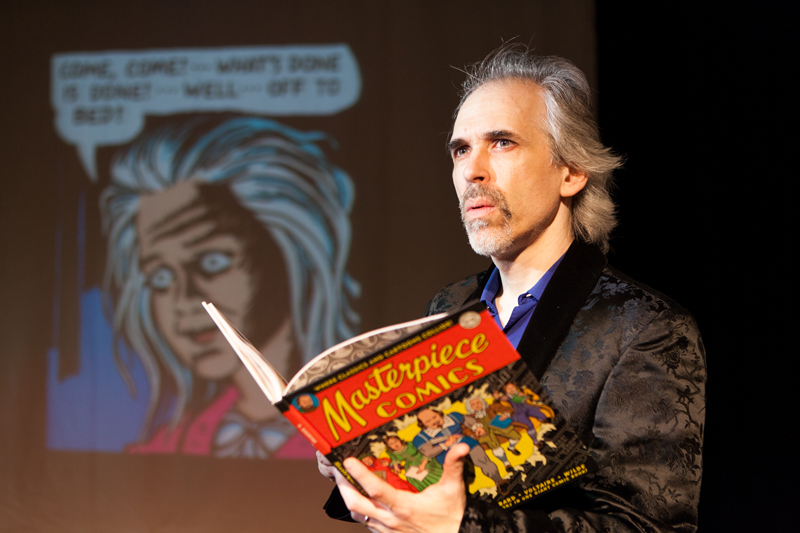 This hour long multimedia show adapts R. Sikoryak‘s graphic novel series Masterpiece Comics and features re-tellings of classic literature and popular American comics. 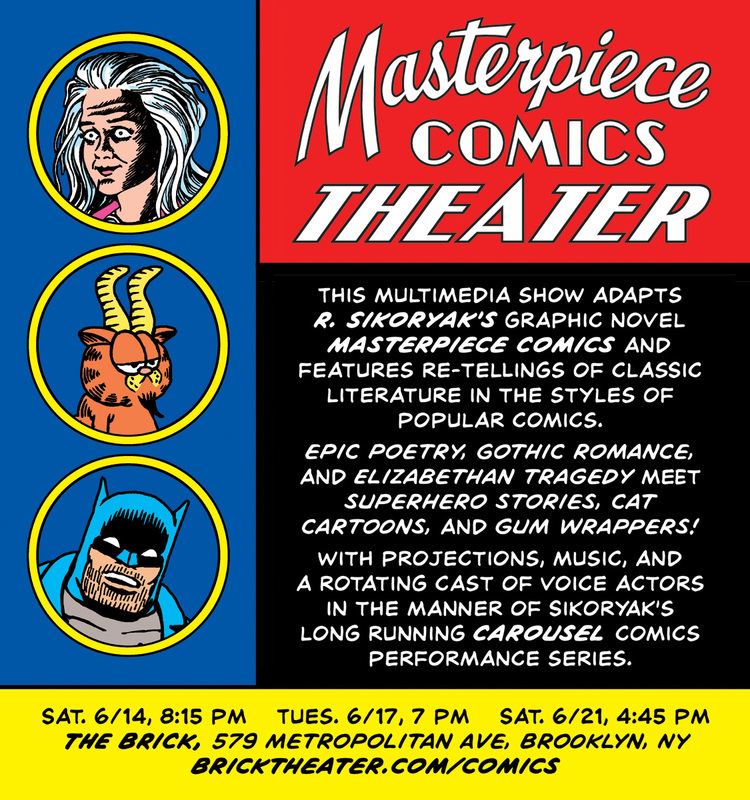 Inspired by epic poetry, Gothic romance, and Elizabethan tragedy, as well as superhero stories, cat cartoons, and gum wrappers, Masterpiece Comics Theater uses projections, a rotating cast of voice actors, live drawing, music, and sound effects in the manner of Sikoryak’s long running Carousel Slide Show performance series. Voice actors for the run include: Ryan Andes, Paul Boocock, Hope Cartelli, Julie Klausner, Meg Sweeney Lawless, Kevin Maher, and Steven Rattazzi (see below for cast dates and details). Saturday, June 14, 8:15 pm. With Sikoryak, R.Andes, J. Klausner, M. Sweeney Lawless, S. Rattazzi. Tuesday, June 17, 7 pm. With Sikoryak, P. Boocock, H. Cartelli, M. Sweeney Lawless, K. Maher.